The ingenious author of 17 Things I'm Not Allowed to Do Anymore and a brilliant illustrator and production designer of the Coraline movie have created a hilarious, touching picture book perfect for young animal lovers. 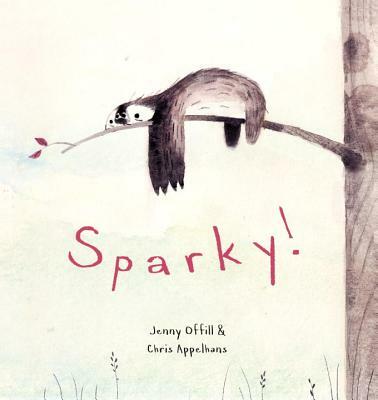 Like the Caldecott Medal-winning Officer Buckle and Gloria, Sparky stars a pet who has more to offer than meets the eye. When our narrator orders a sloth through the mail, the creature that arrives isn't good at tricks or hide-and-seek . . . or much of anything. Still, there's something about Sparky that is irresistible.